Do you ever get tired of the same old way of introducing lessons and units? Do you wish you had a fun way to change things up but don’t know where to start? If you answered “yes” to either of the questions above, I have a solution for you: Art Challenges. 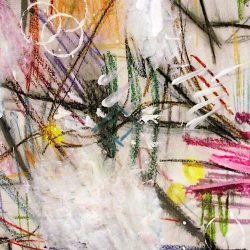 Art Challenges are a great way to shake things up in the art studio. It does not matter if your pedagogy is more traditional or more choice-based; Art Challenges do not discriminate and work well in any art studio. An Art Challenge is a creative problem for your students to solve. You can use Art Challenges with groups or individuals and they can work for a wide variety of topics. 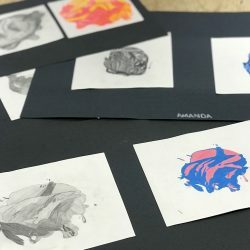 In short, Art Challenges get your students thinking creatively and allow students to explore new media, techniques, and ideas in a fun, non-intimidating way. There are many benefits to using Art Challenges in your classroom. First of all, they are fun and engaging for students. If you’re looking for a hook for a new lesson or unit, an Art Challenge is a good bet! Second, Art Challenges are a great way to get your students working together to promote important skills like collaboration, communication, and problem-solving. You can also align Art Challenges with the Studio Habits of Mind and the National Standards by having students present and share their work with others. Who knows? You might even inspire other content areas in your school to incorporate similar types of creativity challenges in their rooms! But all of that aside, perhaps most importantly, Art Challenges allow students to build skills and background knowledge in a non-threatening environment. Art Challenges help foster a classroom culture where all students feel safe and free to make mistakes. Through these types of activities, students learn that failing only allows for growth, and challenging themselves is one way to build resilience. Here are four specific challenges to try with your students. 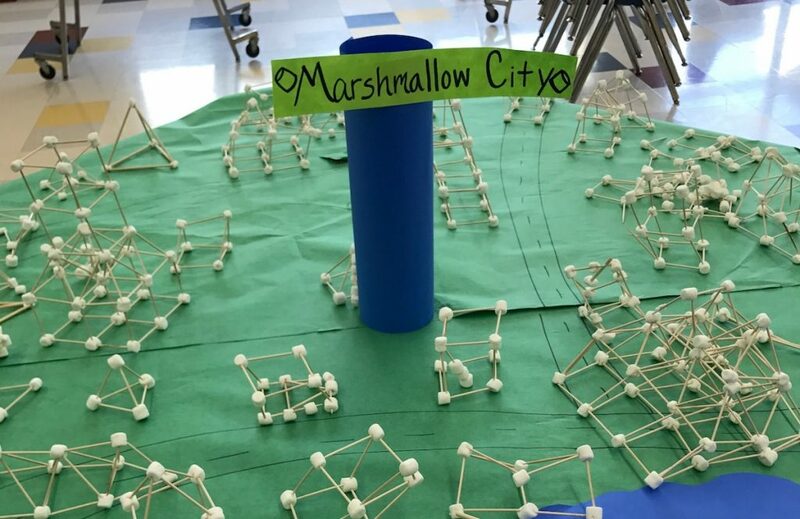 Allows students to build a structure only using note cards. You can provide tape or let them figure out how they want to make attachments. This is a great Art Challenge to do before introducing 3D projects and a cheap, effective way to get your students in the design mindset. Pre-draw or create “mistakes” on sheets of paper and have students turn them into something unique. You will be amazed by what many of your students come up with. Of course, Beautiful Oops! would be a great book to pair with this one. 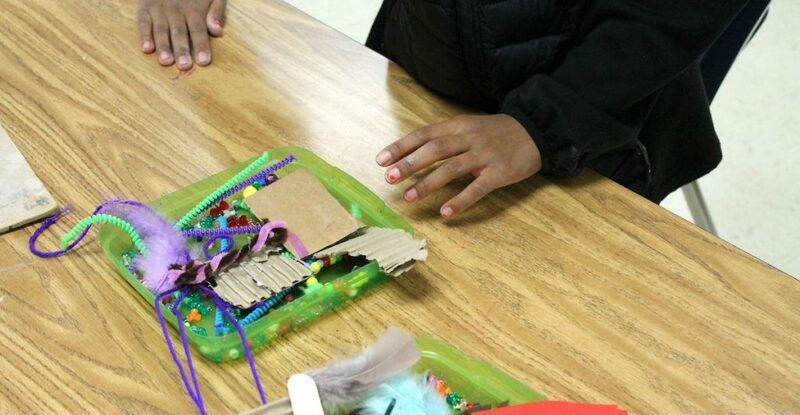 First, give students a variety of random objects like pipe cleaners, pom-poms, string, yarn, toothpicks, paper scraps, cardboard scraps, etc. Then, challenge students to create something with them. You can leave this completely open-ended or have a theme based on your next project or unit. This is a great challenge to give at the beginning of the year to assess your students’ creative thinking skills or at the end of the year to use up leftover materials! Art Challenges are a great way to get your students thinking outside the box. Not only will they help grab students’ attention and keep them engaged, but they’ll allow students to practice essential 21st-century skills. So, the next time you’re wondering how to introduce or enhance your practice, give an Art Challenge a try! How do you think you will incorporate Art Challenges into your curriculum? What type of Art Challenges have you already used in your art studio? 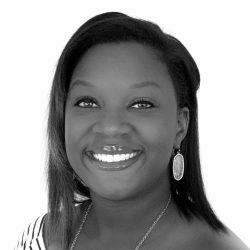 Wynita Harmon is an elementary art teacher in Plano, TX. She enjoys providing authentic learning experiences for her students that promote innovation and critical thinking skills. Great article about ways to get your kids thinking outside the box, Wynita! Thank you so much! We love challenges in my art studio! I try to do a 1-period-long art challenge in between each large project. I call them “creativity challenges”. It helps give students a creative break. Some challenges I’ve done: create a free standing tree using only paper and scissors, student groups compete to build the tallest tower with whatever materials I provide, wearable paper fashion culminating in a fashion show, and some other ideas that I’ve gotten from the “a daily creativity journal” book. My students always have a blast on these days! Hi Nikki! That is a perfect name for them and a great way to break up your projects. Love the ideas as well. I may need to implement some of those. Thanks for sharing your ideas!